All new major commercial developments and housing developments of 10+ homes will have to have sustainable drainage systems installed unless demonstrated to be inappropriate. The long-discussed policy regarding sustainable drainage systems, or SuDS, is finally being introduced after publication of the outcome of a government consultation process. Prioritisation of SuDS was a key recommendation of the Pitt Review into the 2007 floods, but there have since been concerns about the lack of technical expertise within local authorities to approve sustainable drainage systems proposed in applications. There were fears this would create further blockages in the planning system, stymie developers and slow economic recovery. In a statement to the House of Commons yesterday, communities secretary Eric Pickles said he was now pushing ahead. From 6th April 2015, local planning authorities will have to ensure that sustainable drainage systems for the management of run-off water are put in place, unless demonstrated to be inappropriate. The Department for Communities & Local Government is now consulting on a proposal to make lead local flood authorities a statutory consultee on planning applications for surface water management; and makes changes to the statutory consultee role of the Environment Agency to reflect the new responsibilities for local flood management exercised by lead local flood authorities. 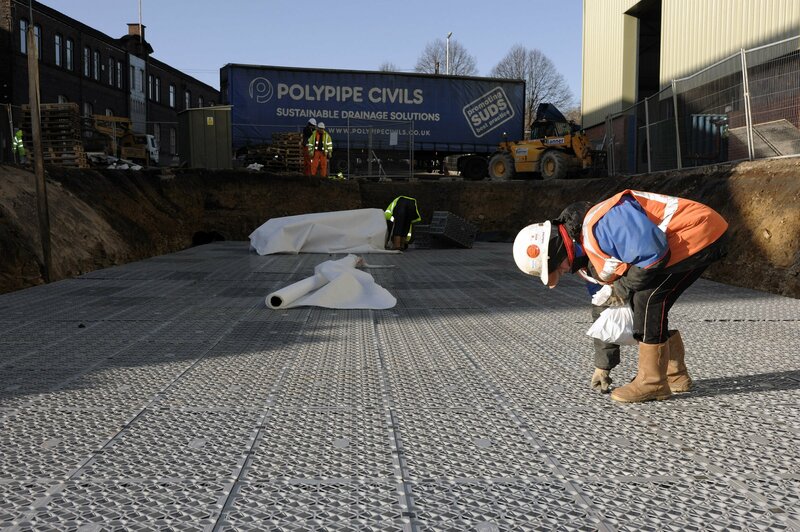 Research for the Department for Environment, Food & Rural Affairs found that maintenance costs for SuDS are on average no higher than the average charge for conventional piped surface water drainage. In addition, informal and limited discussions with developers and their service managing agents revealed that the actual figures for maintenance of some sustainable drainage systems within managed open spaces can be much lower – a typical example was £6 per property per year. However, the government recognises that maintenance costs might vary, depending to the type of system used, the drainage capability of the land and the extent of the maintenance required. Commuted sums paid by developers for maintenance of sustainable drainage must not be the default option; they do not provide a long term solution and we would expect this route to be appropriate only in a limited number of cases. Where local authorities opt to take on the long term responsibility, we would expect them to use their existing powers to charge for maintenance at cost recovery only. Where water companies take on responsibility for maintenance, the sustainable drainage system could be included either within their ordinary charging scheme or outside this scheme were the water company to offer its services as a Service Management Company.